Pharaohs, pyramids, sand dunes, the River Nile, and the Red Sea. Egypt’s dramatic landscapes, ancient Islamic civilisation, and crystal blue waters make it a top tourist destination. Whether you’re a sun seeker, a romanticist, or a culture vulture there’s something for everyone. Many of the best places to stay in Egypt are luxury boutiques on the banks of the Nile. In addition there are lots of excellent Five Star resorts, some low key diving spots for sports enthusiasts, and some beautiful sailing boats along the Nile. Of course the Red Sea coastline, specifically Sharm El Sheikh, is renowned for cheap package holidays so it’s wise to avoid resorts here if you're looking for something less touristy. The country can be divided into five main areas, each offering different charms and activities. Cairo for its big city buzz, the Nile Valley & Luxor for their ancient Pharaonic heritage, the Red Sea & Sinai for spectacular coastline, the Siwa Oasis & the Western Desert for dramatic landscape and biblical history, and Alexandria for its youth culture. Egypt offers a diverse landscape so it would be wise to plan a week in each area rather than rush through them all at once. For sightseeing the best time of year to visit is in the cooler months between October and April. The summer months can get as hot as 38-45 degrees. Tourism is the driving force behind Egypt’s economy, but since the Revolution in 2011 it has dropped its position in Top Destination rankings. While currently the Foreign and Commonwealth Office advises against travel to North Sinai, with the exception of Sharm El Sheikh, it's best to check the FCO website for travel updates before you book. A trip to Egypt isn't complete without a trip to the Pyramids of Giza, the last surviving of the Seven Wonders of the Ancient World. These iconic structures are just as impressive nowadays as they were back when they were built, and they're not to be missed. Abu Simbel is truly jaw dropping. Orginally King Ramses II's great temple, you'll be in awe of its megalithic proportions and stunning statues. A truly wondrous spot. Visit St Catherine's Monastery, situated at the bottom of the biblically renowned Mount Sinai where Moses allegedly received the Ten Commandments. Full of religious iconography, art and manuscripts in its museum, this is a fascinating visit. Abydos Temple features wonderful hieroglyphics and intricate paintings on the chunky stone walls and columns. Wonderfully-preserved, this is a fantastic visit. The Egyptian Museum in Cairo houses a wide variety of antiquities, (with over 120,000 items), detailing the country's rich history. An absolute must visit! Experienced divers will not want to miss the spectacular Blue Hole, which is just north of Dahab, or the Ras Mohammed National Park (around an hour from Sharm el Sheikh). The Hotel Guru’s selection of the best places to stay in Egypt consist mainly of luxury boutiques, Five Star resorts on the coast, and a few suggestions for a desert escape. Boutiques are few and far between but they stand out from the mass of cheap package holiday destinations and are far more private than the best Five star resorts. Use our guide and start to plan your visit to this fascinating country. Oonas Dive Club Hotel is a top family beach spot, with simple accommodation and a good traditional restaurant. Intercontinental The Palace Port Ghalib Resort is a 5* resort with luxurious rooms and private beach access. What's more, there's a spa, range of restaurants and all the necessary mod cons for a superb trip. The 5* Four Seasons Hotel Alexandria At San Stefano oozes boutique flair and provides an intimate atmosphere right by the coast. Their individually decorated rooms are charming and stylish, whilst there are both Italian and Lebanese restaurants as well as a spa. The Oberoi Sahl Hasheesh boasts its own private beach and coral reef - perfect for a spot of snorkelling. This romantic spot provides an array of international cuisine and a wellness spa, as well as boasting huge infinity pools. 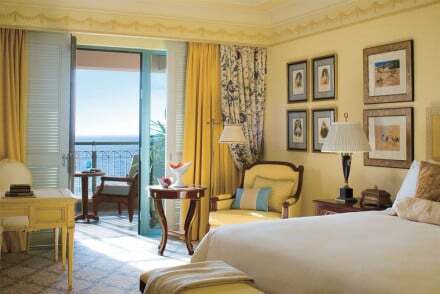 The Royal Savoy is a 5* spot providing traditionally Egyptian and luxurious accommodation. With private villas available as well as an array of restaurants, it's a superb stay. Steigenberger Al Dau Beach Hotel has chic accommodation and its own golf course. You can charter private yachts and head off exploring around the coast, whilst there are also many other watersports to be enjoyed. Four Seasons Resort Sharm El Sheikh is another 5* hotel, offering sumptuous creamy rooms and suites as well as a private white sand beach. Plus, there are six restaurants and a spa featuring natural treatments. The Mena House Hotel is a romantic 5* located around the corner from the Pyramids. With elegantly traditional rooms featuring four poster beds, killim rugs and antiques, there are also multiple dining options and a top-of-the-range spa. 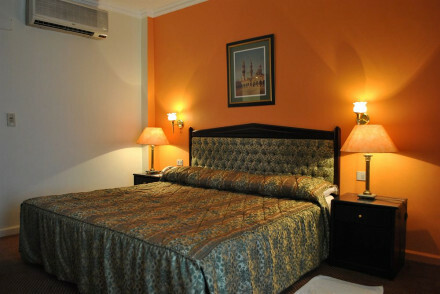 The Gabriel, located in the west of Cairo, offers contemporary accommodation featuring plenty of dark hues. What's more, their Salt restaurant serves up award-winning fusion Mediterranean and Asian cuisine. Four Seasons First Residence Cairo is a grand 5* with a boutiquey feel. Their elegant rooms have been tastefully decorated and offer views over the Nile, whilst there are no less than three top restaurants. Spend your days in the spa, by the pool or playing tennis. Four Seasons Cairo At Nile Plaza is a 5* boasting a fantastic riverside location. Offers luxurious rooms, as well as Italian, Chinese or traditional restaurants. With two huge pools, an excellent spa and beautiful views, it's a top-notch spot. Talisman Hotel is a little lovely boutique spot with rooms from just £50 a night! 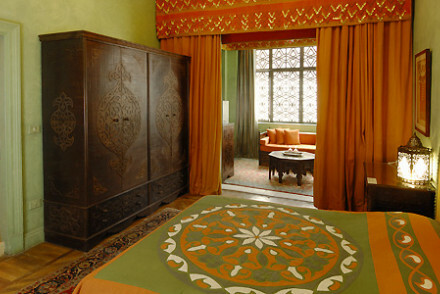 Their characterful rooms and charming and simple, whilst Cairo's top sights are just a short distance away. Steigenburger Hotel Cecil is a historic hotel boasting a classical facade and stunning old world interiors which hark back to another era. 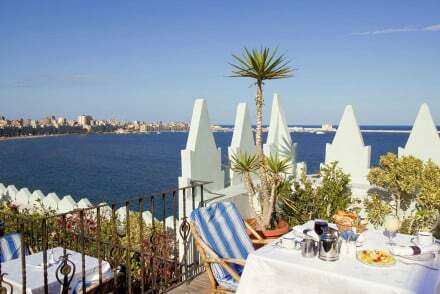 Featuring plush fabrics and antiques, there are two excellent restaurants and balconies with sea views. Kempinski Nile Hotel is a stunning riverside stay providing 5* luxury. Offering lovely contemporary classic rooms, you can unwind in their spa, enjoy superb meals from the Italian restaurant and enjoy drinks from the rooftop bar. 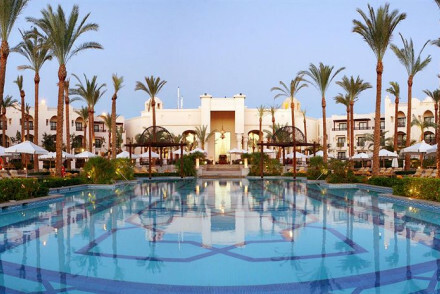 Sofitel Karnak Luxor is set in an historic building with a grandiose classical facade and tropical gardens. You'll adore their dreamily traditional accommodation, as well as the splendid French meals served up. Al Moudira Hotel is a wonderfully romantic spot on the West Bank of Luxor, featuring four poster beds and antiques as well as a pool and a spa. Enjoy terrific meals from their restaurant and unwind in the leafy courtyard whilst listening to jazz. Villa Belle Epoque is a boutique stay just a short distance from many of Cairo's sights. This country house is brimming with antiques and traditional charm, with a restaurant serving up wonderful regional cuisine. Gawharet Al Ahram Hotel offers unfussy accommodation from just £15 a night! Just a short distance from the Giza pyramids, there's also a decent traditional restaurant and a rooftop pool. Dahab Paradise is a charming beachfront stay with rooms from just £38. Their traditional rooms offers private balconies and there's a circular pool in which to enjoy a refreshing dip. Local cuisine served up. Albabenshal offers simplistic rooms in a desert guest house from £25 per night. This mud brick building oozes rustic charm and there's also a rooftop terrace to enjoy. 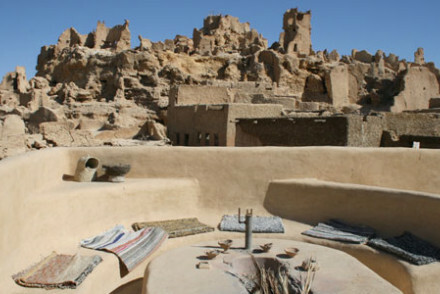 Siwa Villa offers simple rooms in the midst of the Siwa Oasis. Unwind on the rooftop terrace with an open fireplace, and make use of the private chef on request. 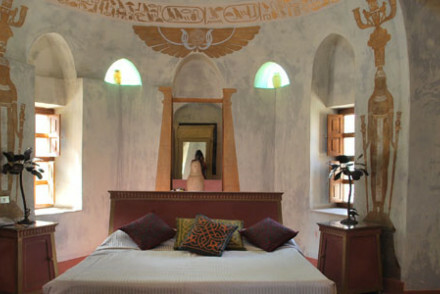 Adrere Amellal is a luxury desert eco lodge providing sandstone rooms with traditional decoration. Escape from the sun's heat with a refreshing dip in the pool and enjoy al-fresco dining on authentic organic cuisine. Whilst Egypt is never exactly chilly, the weather is at its most comfortable between October and April, with average temperatures in the early to mid 20s°C. That said, December and January is peak tourist season so expect to pay more for accommodation at this time and for there to be a fair few tourists around. If you want to minimise expenses then accommodation's far cheaper in the shoulder-season months of June and September, though the sweltering temperatures make sightseeing during the day quite difficult. June to September is however a great time to visit the Red Sea, as temperatures are cooler on the coast than in the country's interior, and the water is nice and warm. Egypt is incredibly well served by airports. You can fly to, among others, Cairo International Airport, Borg El Arab Airport (which serves Alexandria), Luxor International Airport, Hurghada International Airport, Sharm El Sheikh International Airport and Marsa Alam International Airport. British Airways offer direct flights from Heathrow to Cairo, EgpytAir to Cairo and Luxor, whilst Easyjet and Thomas Cook go to Hurghada from Gatwick. All other destinations require a changeover. Browse through our list of all the best places to stay in Egypt. Widen the net and search through the best places to stay in Turkey or even Cyprus. Basic simplicity in this desert guest house. An eco friendly mud brick building with bare-walled rooms and a cool roof terrace restaurant. Fantastically cheap rates, bikes to hire, and lots to do in the desert. A hotel for families, sporting enthusiasts, and those on a budget. A charming mud brick villa ideal for families or groups of friends. Simple chic rooms, fantastic roof top terrace with an open fire place, chef on request. Plenty to do in the desert. Excellent value. A Five Star hotel with its own private beach and coral reef to dive from. All suites in cream with all the mod cons and balconies. Italian, Indian, and Oriental cuisines, a wellness spa, and huge infinity pools that stretch onto white sand. Very romantic, yet family friendly too. Diving - The private beach has its own coral reef to explore from the hotel's diving academy. 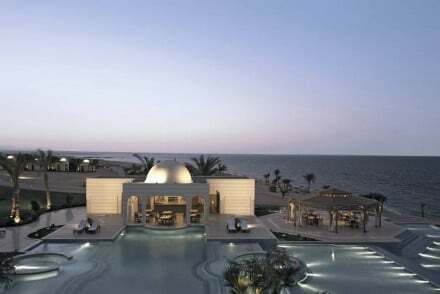 Large beach resort with its golf course, private yachts to charter, diving school, and Red Sea spa. Suites have private balconies and elegant decoration. Many restaurants, bars, and an enormous lagoon-style swimming pool leading to the beach. Not intimate, but excellent for watersports and families. Utterly romantic boutique hotel on the West Bank of Luxor. Gorgeous rooms have four poster beds and are filled with antiques and soft fabrics. Excellent restaurant with an a la carte menu, evening jazz, and an ivy clad courtyard. Also a spa and large swimming pool. Dreamy. A large Five Star resort with a lagoon-style pool leading to a private beach. Contemporary suites have balconies and all the mod cons. Kids club and pool, spa, extensive business facilities, and good Oriental, Indian, and continental restaurants. An excellent beach resort holiday for families.